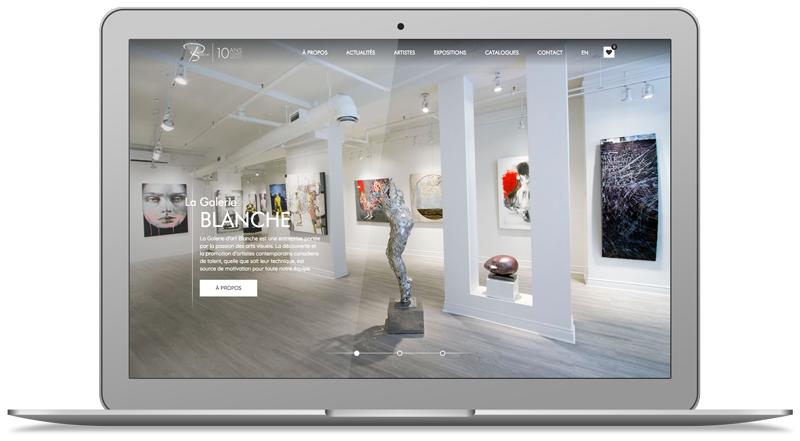 Since 2007, the Galerie Blanche has established itself as one of the most renowned contemporary art gallery in Montreal, renowned for promoting the work of talented Canadian artists. The agency intervened to create communication tools (online and offline) that provides an immersive artistic experience, just like being at the gallery! In order to highlight the pieces, the design of the new website had to be sufficiently refined to emphasize the visual content. The website has been designed to offer an immersive user experience, especially with the panoramic effect of the home page that creates the impression of a virtual visit, and with the wish list that proposes other pieces to the user that he might like. This website has also received the “Special Kudos” award from the CSS Design Awards, awarded to websites deemed worthy of interest because of their design and creativity. 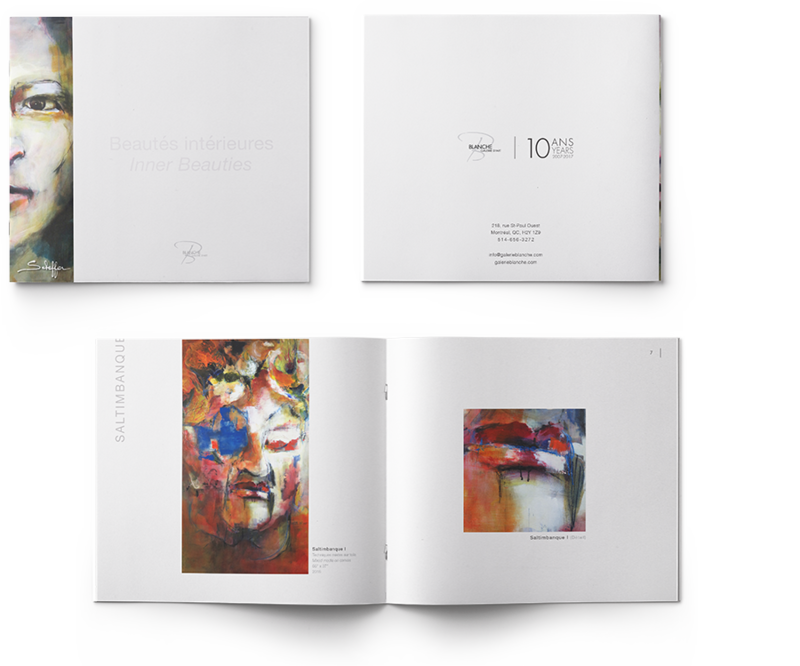 The Galerie Blanche asked Wink Stratégies to participate in the design of the catalogue, invitations and custom envelopes for each of the exhibits planned for the year, essential tools for the Gallery’s brand image. It was then necessary to integrate in the design the codes of the art field as well as the expectations of a target audience of seasoned and demanding art lovers, accustomed to very qualitative documentation, either in form or in content.